It’s time to talk about the Ferrari’s of the ski world: High-performance carving skis. For many skiers, these are the cream of the crop, the ultimate ski equipment for the hard chargers who want to spend their days tearing the groomers to shreds. Today we’ll take a look at the best 2018 carving skis out on the market this season. What are High-Performance Carving Skis? This subset of skis is designed for ripping and gripping on the groomers. Not for the faint of heart, high-performance carving skis are designed for that advanced to expert skier looking to feel that intense cornering-on-rails experience. Each of the five skis that we’ll talk about is loaded with their respective manufactures top end bells and whistles, all there just to bring a smile to your face and leave you with a little less money in your pocket. If you’re a speed junkie who just loves tearing up some wide-open groomers at high speeds, this is an investment you have to make. Elan Amphibio 88X Ti: The Elan Amphibio 88X Ti is a favorite of hard-carvers for its 4D Construction, having won several design awards because of it. The 4D Construction uses a convex shape across the top sheet in front of the binding platform and a concave shape across the top sheet behind the binding platform to dampen out vibrations and create a smooth ride. Elan’s trademark Amphibio Rocker engages turns lightning quick, a quality that all high-performance riders need to have. This is the widest ski at the waist on this list, coming in at 88mm, giving it the ability to charge through cruddy terrain also. Volkl Code S: The Volkl Code S is built with their own Speedwall Multi-Layer Wood Core, a titanium-powered boost to the skis construction. The Code S’s construction feels damp and powerful. One of the most noticeable features in skiing, the Speedwall really separates the Code S from the pack. Volkl also uses a UVO (or ultimate vibration object) that sits on the shovel of the ski to help create a smoother ride with improved maneuverability. The Code S is designed to absorb vibrations on a 3-dimensional axis, no matter how icy the snow gets. The Code S is definitely one of the smoothest skiers you’re likely to encounter. Head Supershape i.Rally: The Head Supershape i.Rally has some of the tightest turning on this list. Shaped like a slalom ski, the i.Rally’s narrow design can carve back and forth quick and at high speeds. Head’s KERS technology uses an electrical sensor situated on the tail of the ski to store energy, releasing it as you exit a turn to help you accelerate into your next turn. The ski has a Graphene World Cup Sandwich Construction that is incredibly lightweight and powerful. The i.Rally also has the ERA 3.0 construction that loads the ski with the perfect combination of rocker, turning radius and rebound for strong skiers who want to knock out as many turns down the fall line as possible. Blizzard Quattro RX: The Blizzard Quattro RX brings with it the new Quattro Concept, a system of technologies that work together to bring you the best in frontside ski performance. The Quattro Concept combines the four key engineering concepts for carving skis: Control, Stability, Agility, and Precision. The Quattro RX has added technology that is optimized for each of those four concepts. Blizzard’s IQ System is a binding interface completely integrated into the skis framework, resulting in a more natural flex and transmission of energy from skier to ski. The Full Suspension System acts as a dampening system that also enhances the amount of rebound this powerhouse packs. Blizzard’s Compound Sidewall and Carbon Construction combine Titanium and carbon fiber to help reduce the weight while increasing power. Rossignol Pursuit 800 TI CAM: The new Rossignol Pursuit 800 TI CAM showcases the brand’s Prop Tech Construction, a feature that all expert skiers will love. Prop Tech allows the ski to have an adaptive torsional flex that absorbs to different contours in the terrain for added responsiveness and control while maintaining full edge contact. The Prop Tech Construction is the just the tip of the iceberg though. The Pursuit also has a Prop Tip that pulls heavier material away from the tip of the ski to lower the swing weight for an easy-to-maneuver feeling, and Rossignol’s Carbon Alloy Matrix uses a blend of Basalt and Carbon to add power while reducing the weight. If you’re one of those people who needs to have the latest tech and is willing to pony up to get it, these high-performance skis will be perfect for you. All the skis on this list will give you the superior control and ability you need to rip those frontside groomers to shreds; a worthwhile investment for the most die-hard carvers out there. For more fresh-off-the-snow analysis of skis from Rossignol, Head and more, check out our full package of on-snow reviews. 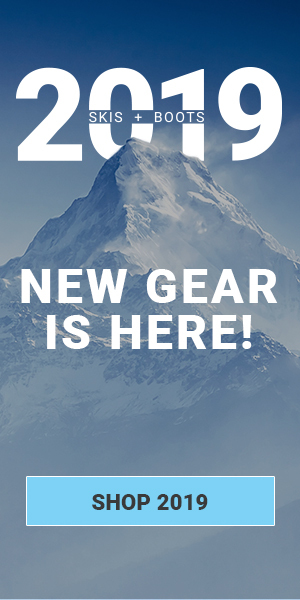 SKIS.com also carries a comprehensive selection of this year’s expert-level skis, tailored for everything from backcountry powder riding to park play.